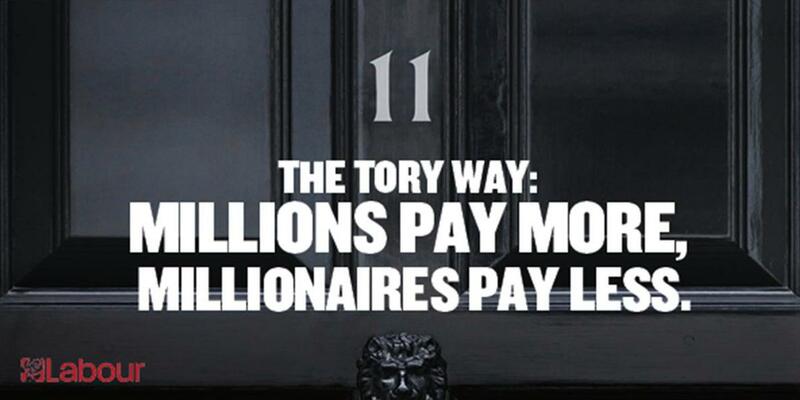 Ed Balls has today unveiled the second of Labour’s campaign posters on this Government’s choices on tax, which explains that under the Tories “millions pay more while millionaires pay less”. Families are £1100 a year worse off on average – the true cost of this Tory Chancellor. These are independent figures from the Institute for Fiscal Studies, which take into account all of the changes introduced by David Cameron’s government from May 2010 to today – including the changes to the personal allowance. And while millions are paying more, millionaires are paying less. Two years ago today they gave the top one per cent of earners in our country a £3 billion a year tax cut. For someone with an income of £1 million that’s a tax cut of £85,000 over the last two years. Only yesterday George Osborne repeatedly refused to rule out cutting the top rate of tax again for the very richest. Britain needs Labour’s better plan. Millions of working people are paying more under this government. So our manifesto will make clear commitments to the British people. We will not raise VAT. We will not raise national insurance. And we will not raise the basic or higher rates of income tax. Unlike the Tories, all of our promises are fully funded and paid for. A mansion tax on properties over £2 million, a levy on the tobacco companies and closing tax loopholes to save and transform our NHS with an extra 20,000 nurses, 8,000 more GPs and cancer tests guaranteed in a week. Reversing the top rate tax cut – the Tory tax giveaway for millionaires – to help get the deficit down in a fairer way. And cutting taxes for millions of working people on middle and low incomes with a lower 10p starting rate of tax – paid for by scrapping the unfair and perverse marriage tax allowance. Our plan will help more married couples, more women, more families and more working people.